for $515,000 with 3 bedrooms and 2 full baths. This 2,042 square foot home was built in 1988 on a lot size of 85 X 85 X 125 X 125. 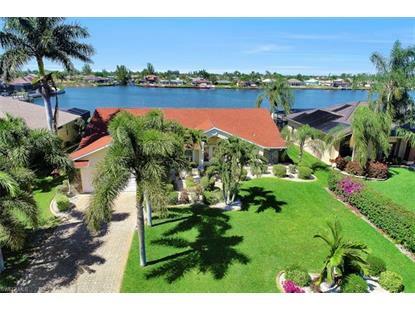 Only 50 homes are lucky enough to call the largest salt water lake in Cape Coral their home. 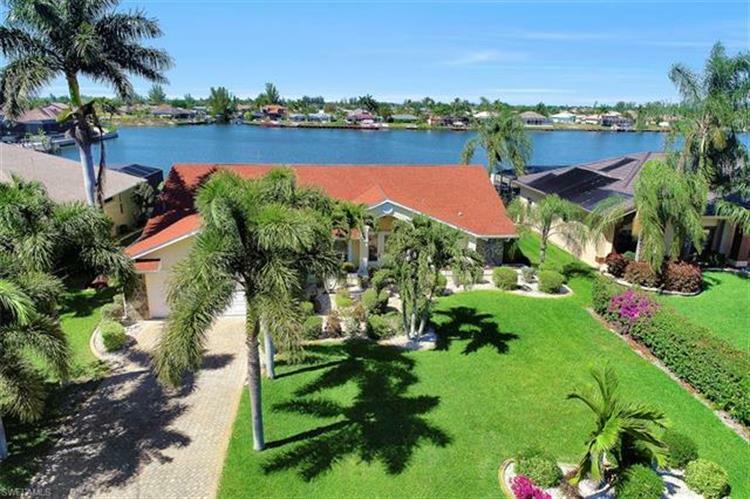 Outstanding VIEWS and superior GULF ACCESS can be yours with this pool home with private dock & lift. You'll love the wide-open feeling when you walk through the double front entry. A huge great room with vaulted ceilings has a 16' wide pocketing slider overlooking the pool and Lake Finisterre. There are also great views from the sliders in the kitchen & master bedroom. It's all about being outside in SW Florida and this home offers a huge under truss lanai and a large paver screened in pool area. You can kayak or fish right from your dock, or take your boat down off your 10K lift for a short ride to Cape Harbour or Tarpon Point, or you can venture out to the Gulf of Mexico and the many barrier islands. The master suite has dual sinks & his/her walk-in closets. The guest bedrooms are on the opposite side of the home for maximum privacy. Mature landscaping, a brick paver driveway on a quiet dead-end street, yet just a couple miles to a variety of restaurants. Storm protection is made easy with sliding shutters. A new A/C system in 2015 and All assessments are paid.